This stamp was issued in 1996 by the Fukushima prefecture (equivalent to district, of which Japan has 47). It features a peony from Sukagawa City, famous for its Botan En, or Peony Garden, and its Torch Festival. Fukushima is now in danger because its nuclear plant suffered serious damages in the 3/11 earthquake and tsunami. 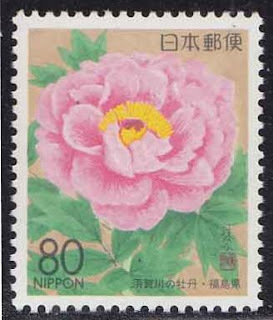 The peonies, along with the water and vegetation there and nearby districts, have been contaminated by the radioactive emissions from the power plant's reactors. 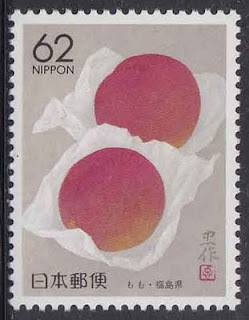 Peaches from Fukushima. 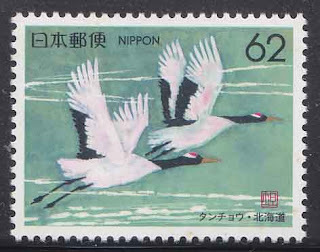 Stamp issued 1990. 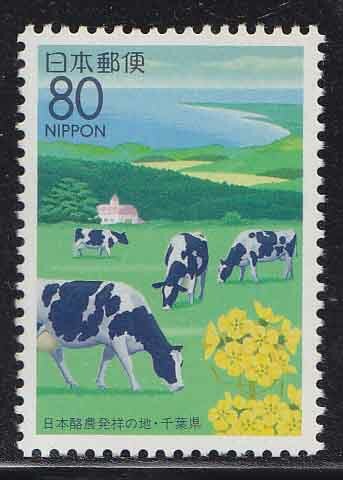 The stamp below shows a scenic view of Miyagi prefecture, where Sendai is located. I was scanning this stamp yesterday when I noticed a white scratch on the upper left portion. Having collected Japanese stamps for years, I have acquired a bit of taste for their symbolism. 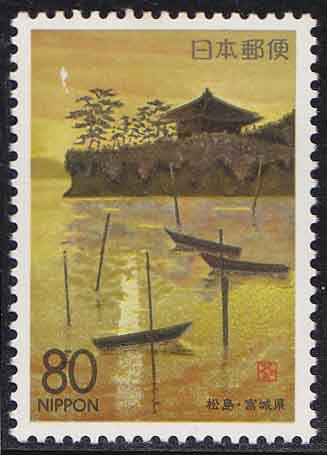 The scratch, or flaw, on the beauty of Miyagi, is it a portent of events to transpire? 1994 Stamp showing Matsushima in Miyagi. I can remember seeing live on TV the 10-meter waves as they approached the shore of Miyagi. I suppose the boats were first to be crushed, followed by the huts and other edifices. The water and mud devoured the cars and planes in the airport, trains, people, pets, trees. The death toll will eventually surpass 20,000. Zelkova Trees on stamp issued by Miyagi Prefecture in 1995. Holstein Cows in Chiba, 1995. Milk from cows and vegetation in Chiba and neighboring districts are reportedly contaminated with radiations. 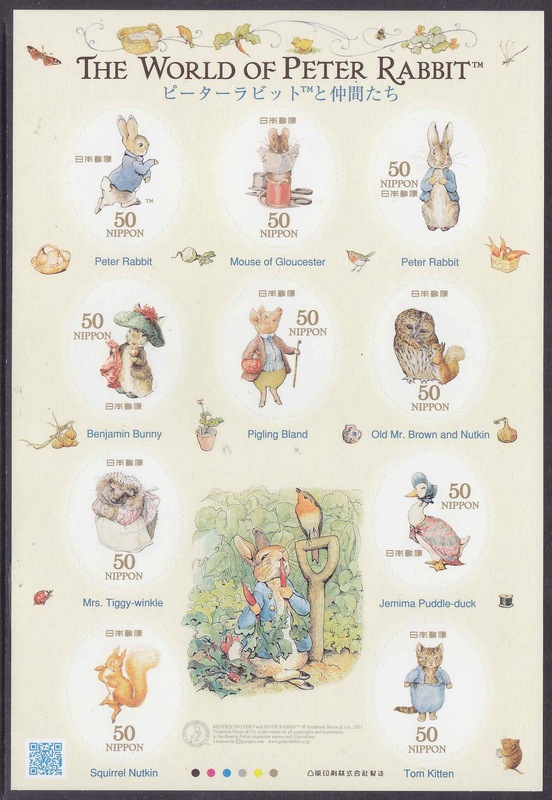 Japan's poultry and fish industries have slumped too. Hokkaido was also affected by the tsunami, which flooded several areas there. 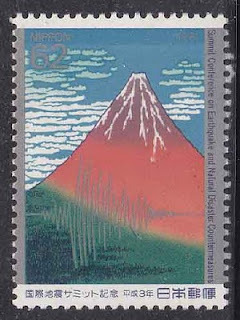 About 10 years ago, in October 1991, a stamp commemorating the summit conference on Earthquake Disaster Mitigation was issued. I think what had been learned in that conference is in effect now. 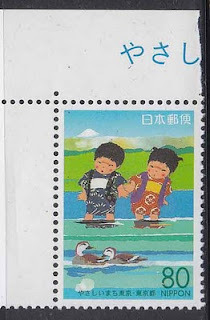 Yesterday I received this sheetlet and other stamps from a friend in Japan. 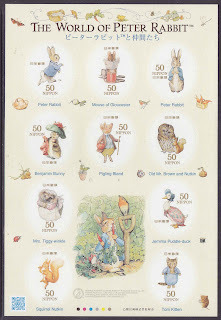 The parcel from Kosaku, 75 years old collector and dealer, bears postmarks dated March 10, a day before the earthquake hit. My friend used to live in Tokyo; months ago he moved to nearby Chiba, where a huge fire broke out in an oil refinery minutes after the killer quake struck. So far attempts to reach my friend by phone have failed. I hope he is safe and well. Children playing in Tokyo, 2000. May the good days return. Bless Japan and its people. 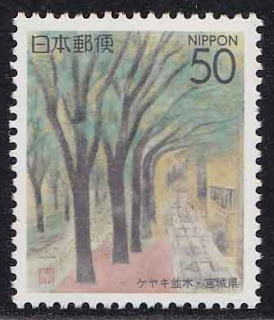 What a lovely homage to Japan and it's people and other living things. Thanks! I still feel bad about what happened there. It's such a beautiful and clean country. I admire the courage and discipline of the Japanese.